Butterflyvista Corporation dedicated to helping engineers and IT professionals. 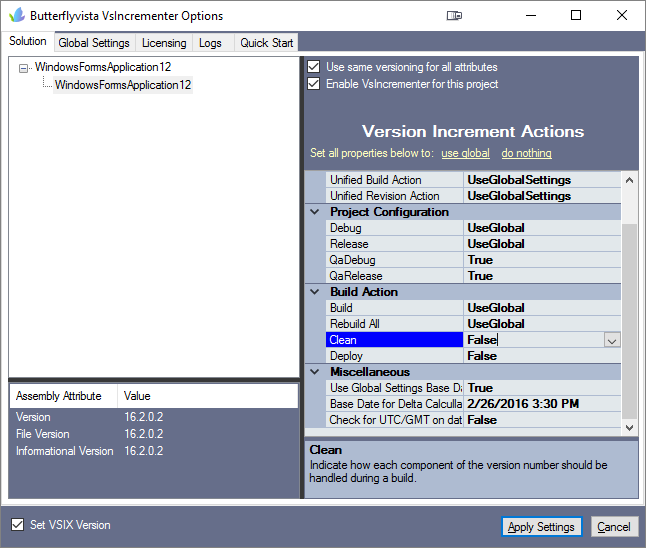 VsIncrement is a Visual Studio Extension that provides a fully configurable auto version increment (and much, much more) capability for your each project in your solution. Simply stated, configure once and forget it! VsIncrement takes care of the rest. 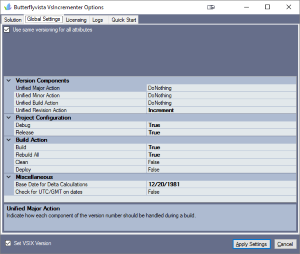 VsIncrement automatically detects the location of the AssemblyInfo file for each project in your solution. You can configure the extension to automatically increment any attribute (AssemblyVersion, AssemblyFileVersion, and/or AssemblyInformationalVersion) in the AssemblyInfo file. 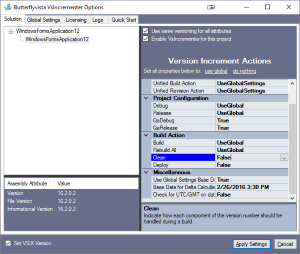 You can configure VsIncrement to use global, solution, or per project settings. Project settings store in the AssemblyInfo file, so you can safely work in team environments, where developers do not have VsIncrement. The current version works with C#, VB.Net C++, and F#. Supports Version, File, and Informational version attributes. Actions include Time Stamp, Year Stamp, Delta Base Date, and much more. 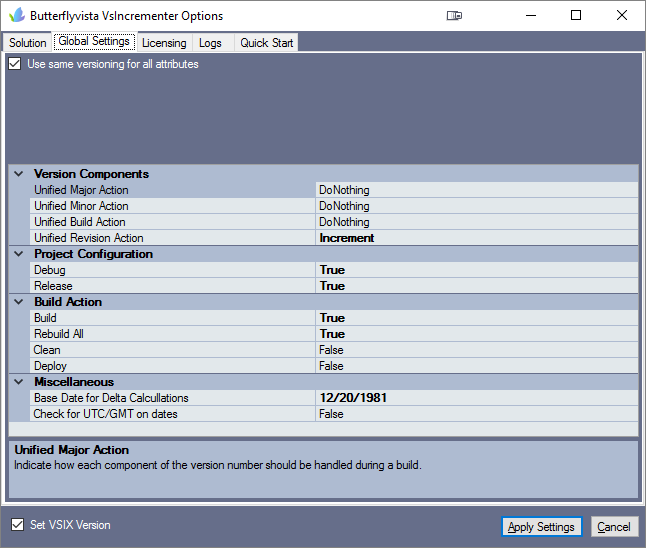 Ability to synchronize the source manifest version attribute for VSIX projects with the AssemblyInfo version. See the website for all the other features. Please see the VsIncrementer page on our engineering arbalest website for limitations and other information. We plan to continuously improve and introduce new features. If you would like a feature added, please contact us. 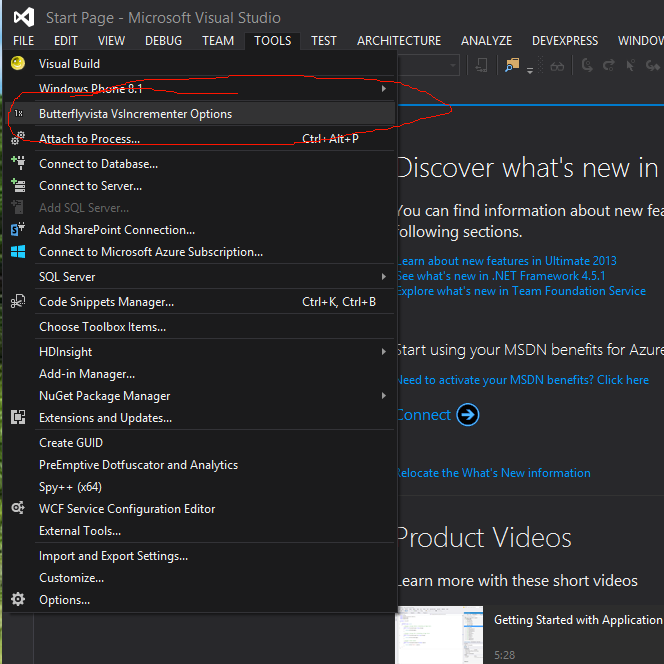 VsIncrementer Versions for other Visual Studio versions are available here in the Visual Studio Marketplace.